IPPOSTRADA (ITINERARY) OF WINE SOAVE ALONG THE PEDEMONTANA VENETA Itinerary by horses among nature, wine and food! The sport association Country House Horse ASD offers, during the period of Expo 2015, a different and nontraditional trip: an itinerary by horse! Thanks to this unusual transportation, we will rediscover and promote the territory; we will glimpse hidden corners, that are not yet an area of tourism-traffic. Through the approach to these beautiful animals, we will guide you in the discover of trails surrounded by nature and far away from cities and everyday routine. Together we will pass through the hills of the Pedemontana Veneta, that is an area rich of hills, exactly in the heart of the Veneto Region; a suggestive location with ancient villages, colorful landscapes, untouched nature, interrupted somewhere only by fabulous and famous Venetian Villas. The Pedemontana embraces the Valpolicella, known also as the land of wine, Asolo, a small town but full of history, the river Piave, the river of the World War. We will let you savor new flavors and new tastes, foods and products will be in season and fresh, cooked and prepared according to ancient traditions. Horse gaits are the various ways in which a horse can move; during this itinerary we will perform WALK (the slowest gaits of horse) and TROT (a kind of jumped walk). Since are the easiest gaits, this is a trip suitable for everyone! Every Monday, Tuesday and Wednesday during the period of Expo 2015. But, on request, we are available every day. Necessary condition: to have, at least, 16 years. 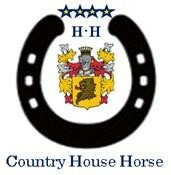 The sport association Country House Horse ASD offers, during the period of Expo 2015, a different and nontraditional trip: an itinerary by horse!